In our modern “concrete all” world, sometimes something odd is left in the wake. I found this modern fossil in a parking lot. It must have been a rather large bug. 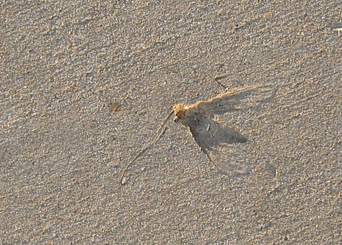 The antennae and legs are clearly visible, as are veins in its wings and the abdomen segments. I find things like this fascinating.